Traditionally, these four groups have been referred to as protozoa. However, the most common, single-celled intestinal parasitic eukaryote, Blastocystis, does not belong in any of these four categories. Taxonomically, Blastocystis belongs to the heterogeneous group of Stramenopiles, which includes slime nets, diatoms, water moulds and brown algae. Most stramenopiles are free-living organisms. Blastocystis is an atypical stramenopile not only as this group is named for the straw-like tubular hairs on the flagella and sometimes the cell body - Blastocystis has no flagella and lacks any tubular hairs - but also due to its parasitic nature. Often, Blastocystis is referred to as a 'protozoon', although 'protist' is more appropriate. 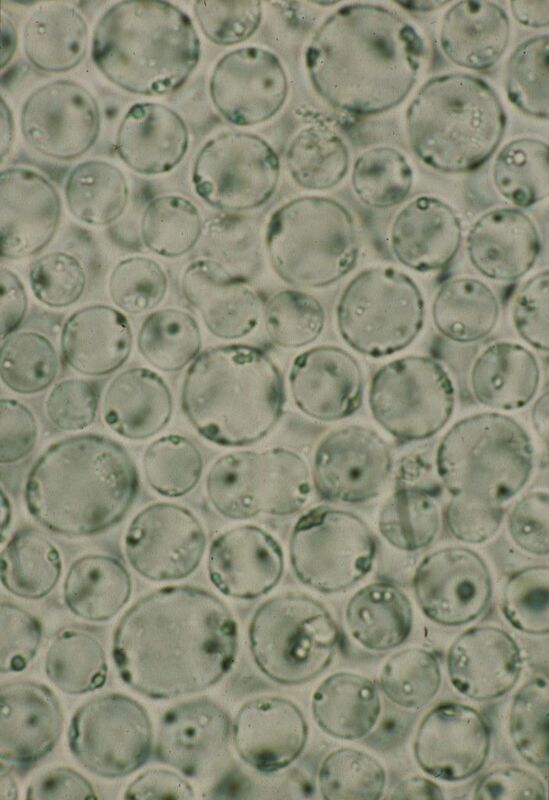 Protists can be defined basically as any eukaryote that is not a plant, an animal or a fungus. One of the closest relatives of Blastocystis identified to date is Proteromonas lacertae, a parasite of reptiles. Interestingly, Proteromonas does have flagella and hairs on the cell body. For comparison, the image below shows Blastocystis (culture) - appearing almost amoeboid, only with very limited morphological hallmarks (note examples of binary fission and the eccentrically located nuclei and mitochondrion-like organelles). Blastocystis is one of two Stramenopiles known to infect humans, the other being Pythium insidiosum, which has been associated with keratitis and dermatological lesions mainly in SE Asia. Other organisms with close relation to Blastocystis include Karotomorpha, Cepedea, Protoopalina and Opalina. Why "Blastocystis sp." and not "Blastocystis hominis"? 2) Blastocystis in humans comprises at least 9 species (or, perhaps more correctly, ribosomal lineages), 8 of which can be found in other animals as well. This means that host origin is not a reliable indicator of organism identity. Blastocystis appears to exhibit only moderate host specificity - at least at subtype level - , and until a more substantial sampling from various hosts has been carried out, we will have to go with "Blastocystis sp." followed by an appropriate subtype (ST) number (according to species/ribosomal lineage), e.g. 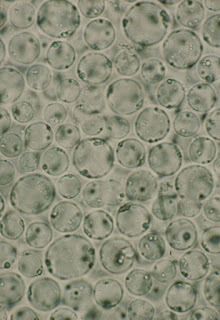 "Blastocystis sp. ST3", which is one of the 4 subtypes commonly found in humans. In order to make subtype analysis very easy, we have created a site (together with Keith Jolley, Oxford University), where a bulk of sequences can be assigned to subtype in few seconds. Single sequence entries are also possible. To sum up: Blastocystis hominis is a misleading and currently an invalid taxon.